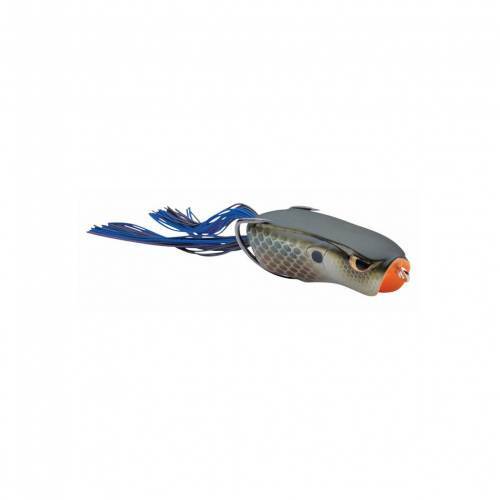 The Bronzeye Spit Shad 60 can be fished in areas where you could never dream of throwing a hard bait with a similar action. The unique action is caused by a special "Spit Cup" on the front of the bait and vertical living rubber tails that give the bait a special Gliding Action. The Bronzeye Spit Shad 60 comes with sticky sharp Gamakatsu EWG Double hook and in an array of fish-catching colors. The Bronzeye Spit Shad 60 is tuned to Dean's standards and ready to fish right out of the package.